One of the most controversial issues I deal with in my Round Rock Law Office is the establishment and enforcement of child support. Texas takes this issue very seriously, and so do parents who are desperate to feed and clothe their children. Most parents want their kids to have a roof over their heads, to eat a healthy diet, and be adequately clothed, however; separated parents generally don’t want to pay for more than their fair share of the child’s expenses. The state of Texas requires parents to provide financial and medical support for their children. This requirement continues to exist, even when the parents are separated. Generally, once a divorce or child custody case has been initiated, child support orders will be drafted and signed by a judge. The order is entered by a judge to make the child support obligation enforceable. 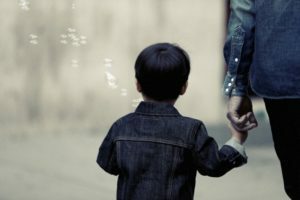 An experienced family or child support lawyer can help you figure out what you or your ex will likely be obligated to pay for the benefit of the child. Clifford Alan Swayze recognizes the concerns parents have regarding the health, safety and welfare of their children. The financial concern, when parties have recently separated, is generally high on the list of people’s interest. Of course, each family’s needs and circumstances differ. For instance, one of the first steps to determining an appropriate child support payment is to establish paternity. If the parties are married there will be a rebuttable presumption that the husband is the biological father of the children born during the marriage. If you have even the slightest doubt whatsoever, a paternity test should be performed. When parties are not married, no such presumption exists, and generally a DNA test is appropriate. To speak with Clifford Alan Swayze at his Round Rock Law Office, please give him a call at 512-335-5245. Clifford Alan Swayze represents parties for child support matters in Williamson County, including Cedar Park, Round Rock, Leander, Georgetown, Liberty Hill, Hutto, Taylor and Austin. The following zip codes are served: 75409, 78608, 78611, 78613, 78615, 75032, 78621, 78620, 97116, 78665, 78626, 78633, 78628, 78627, 78634, 78642, 78641, 78646, 78645, 79836, 78653, 78660, 76511, 78664, 78663, 78669, 76526, 78674, 76527, 78673, 76530, 64093, 77327, 76537, 78681, 78947, 78704, 76543, 78266, 76857, 76549, 78717, 76567, 89801, 78726, 76573, 76577, 78728, 78727, 76574, 78730, 77853, 78729, 76578, 78732, 78734,l 78737, 47122, 78745, 78748, 78750, 77388, 78759, 78605. Texas requires parents to provide financial and medical support for their children. A Williamson County child support lawyer can help you determine how much child support should be paid.